My homage to Stanley Kubrick. I hope you enjoy his dark side too. 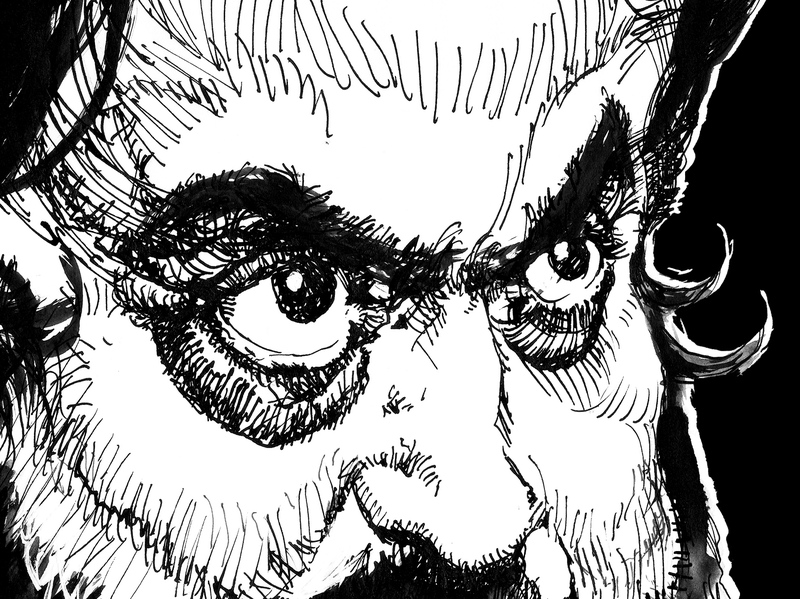 I have given a eerie feeling to Stanley Kubrick's portrait. The inspiration came from the "Shining" and "Clockwork Orange" movies. Please send your impressions. 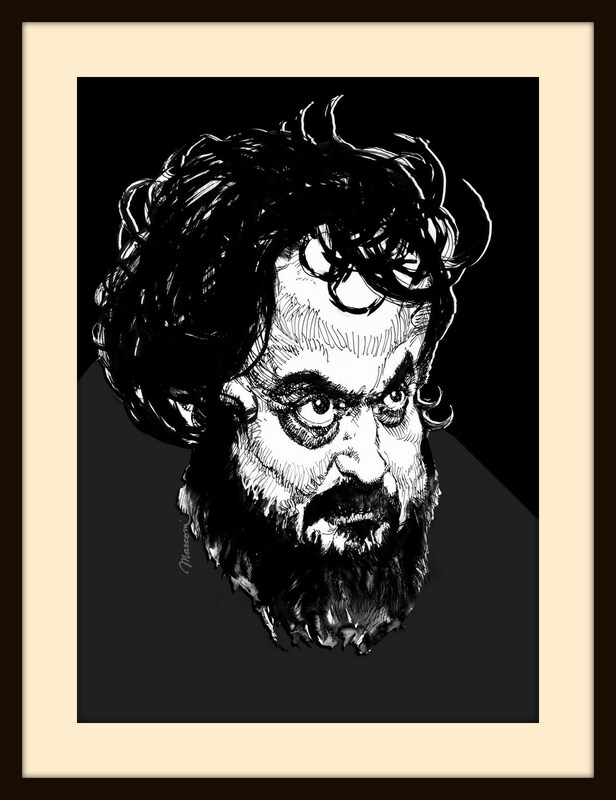 According to Wikipedia, Stanley Kubrick (/ˈkuːbrɪk/; July 26, 1928 – March 7, 1999) was an American film director, screenwriter, producer, cinematographer and editor. He is regarded as having been one of America's greatest filmmakers. 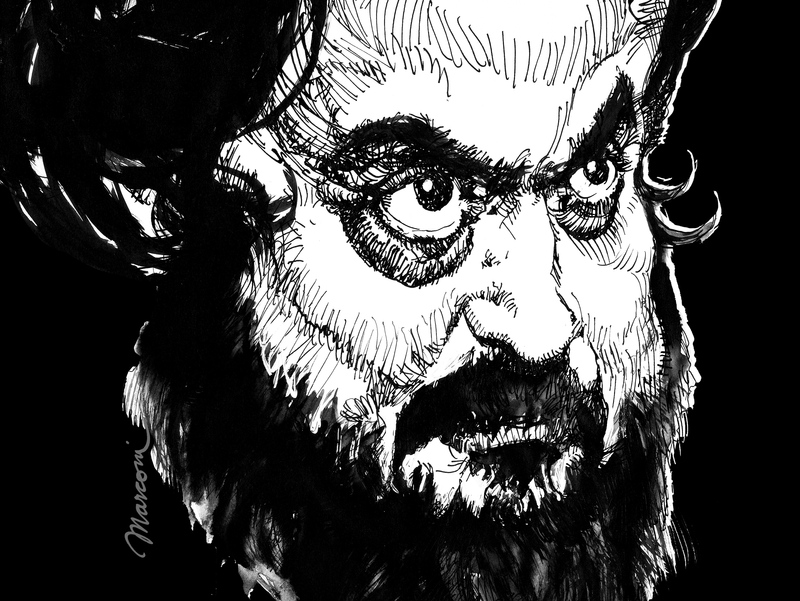 His films, typically adaptations of novels or short stories, were noted for their "dazzling" and unique cinematography, attention to details to achieve realism and an inspired use of music scores. Kubrick's films covered a variety of genres, including war, black comedy, horror and science fiction. Kubrick was also noted for being a perfectionist, using painstaking care with scene staging and working closely with his actors.